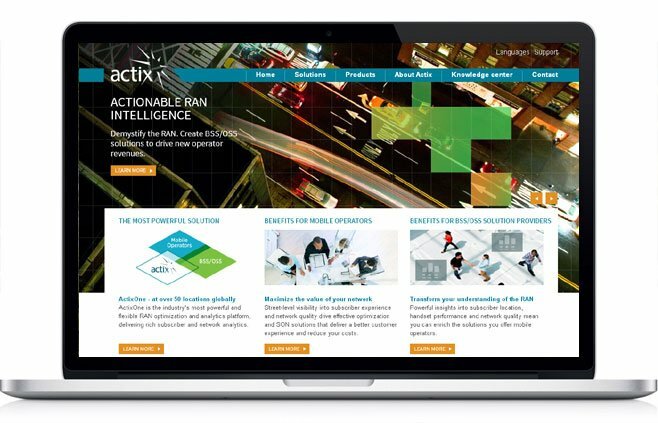 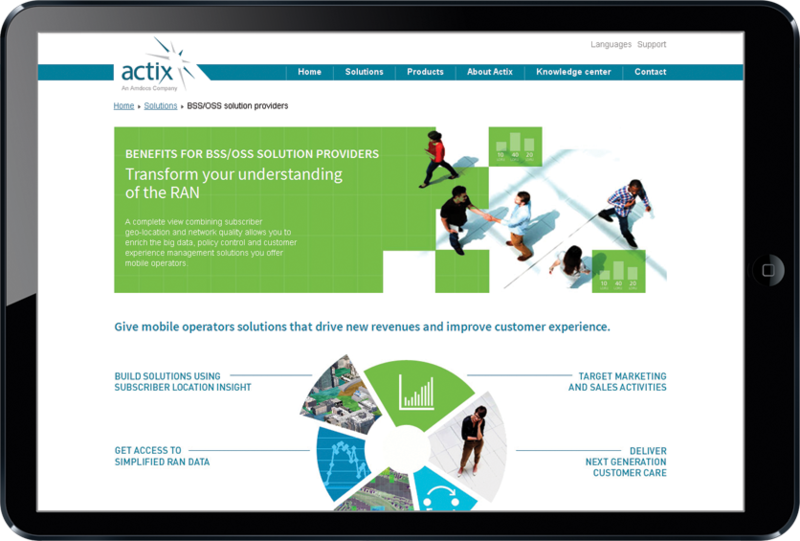 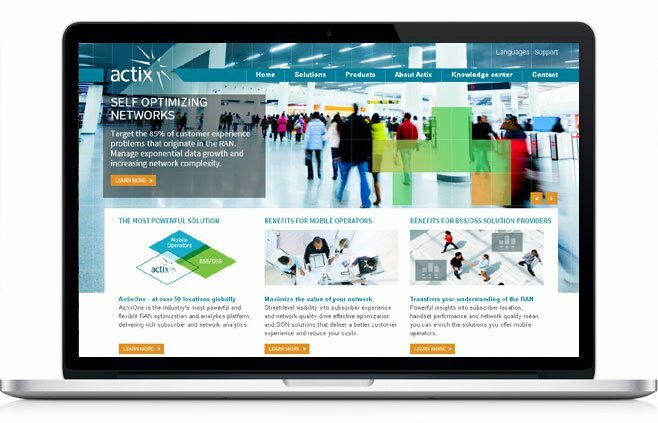 Actix provides operators with real-time, geo-located, visibility and control over the Radio Access Network (RAN); the most critical part of a mobile operator’s infrastructure. 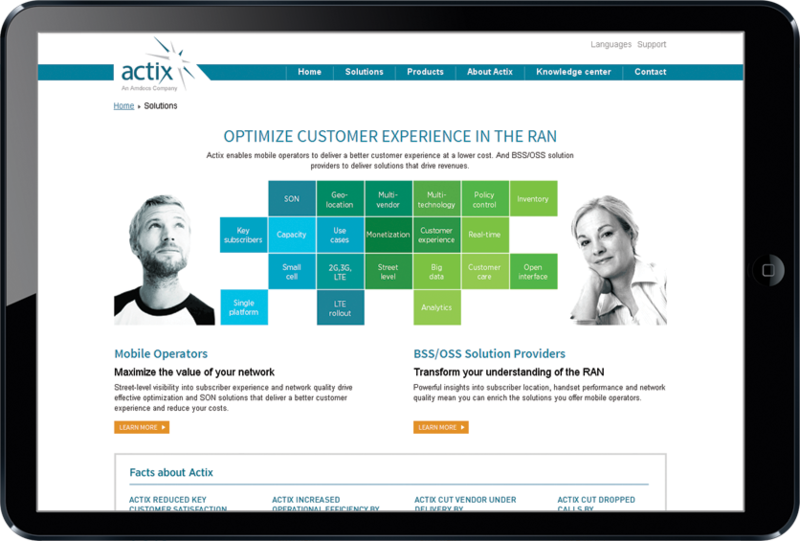 It has recently been bought out by Amdocs, who are the market leader in customer experience software solutions and services for the world’s largest communications, entertainment and media service providers. 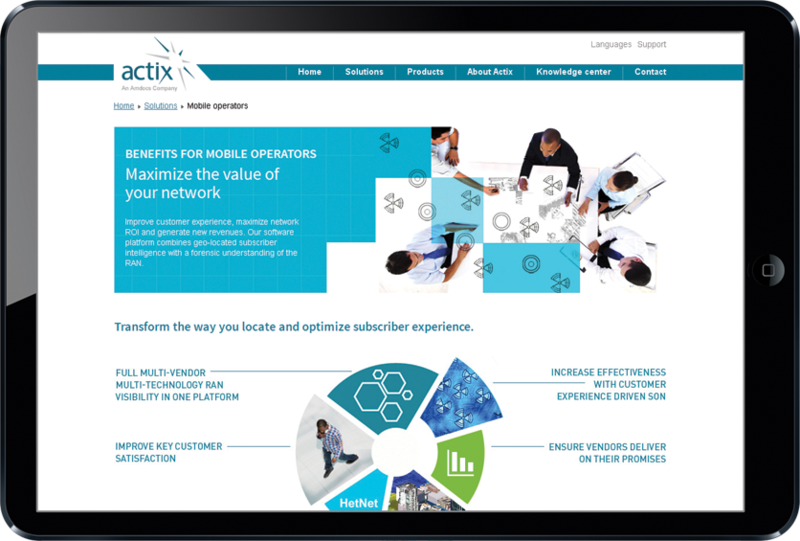 They create software platforms that enable mobile operators to deliver better customer experiences, maximize network ROI and generate new revenues by locating, optimizing and monetizing their subscribers’ experience. 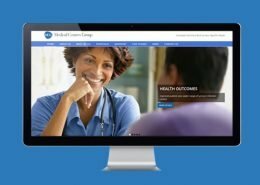 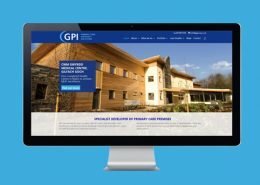 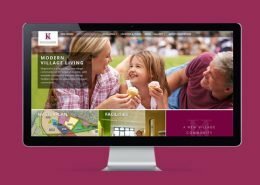 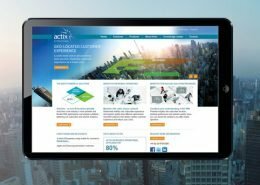 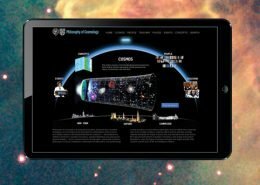 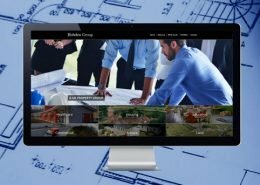 Cogent Design was selected to design and build an entirely new Actix corporate website following a competitive pitch. 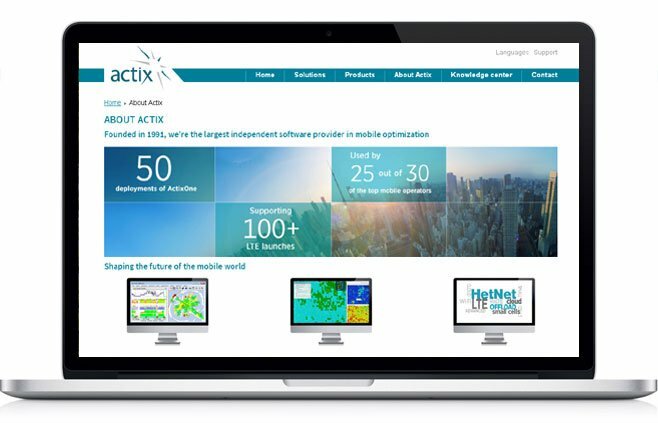 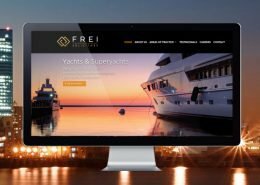 The brief was to reassert Actix as the leading company in its field and to leapfrog competitor sites which had overtaken the old Actix site in terms of messaging and visual presentation. 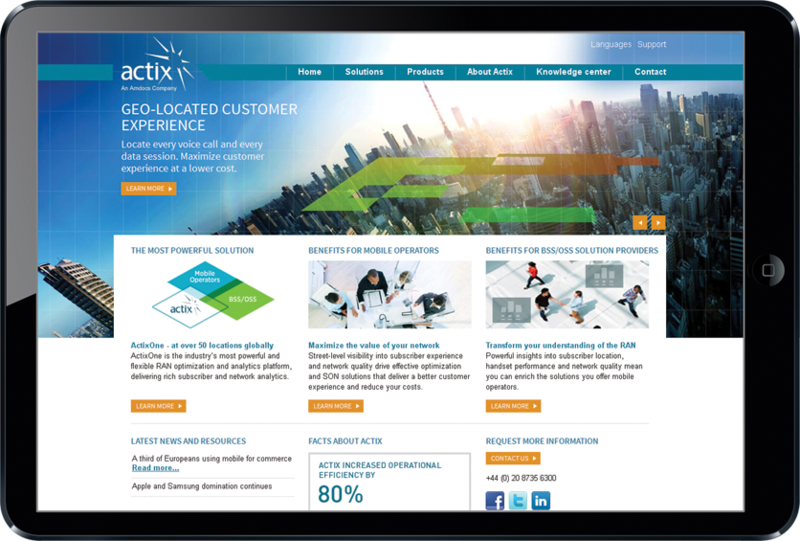 The new design combines clear and concise messaging, with clean fresh, contemporary “modern world”graphics.